One of the fun things that I get to do on a regular basis for my "other" job is present intercultural experiences to high school students. 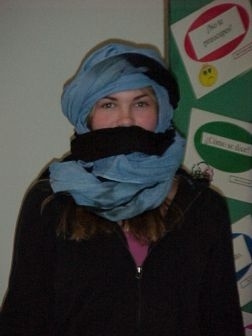 Basically, I work for AFS Intercultural Programs, a high school exchange organization. In order to recruit students to go abroad, I talk to them in their foreign language classes about culture, stereotypes and my time overseas. Before Rabi had his work permit, he would join me on field trips and would present to classes about Burkina Faso. In fact, the day after he arrived in the US, we were in the car driving to Marshall, MN for such a presentation. His English must have been pretty good straight off the plane for the Social Studies teacher to allow him to talk in the high school class. We were also invited to present to my nephews' classes (1st and 3rd grades) in a Minneapolis suburb last year. And a fellow RPCV invited us to present to her pre-school and kindergarten classes at a Montessori school here. These were interesting ones! Rabi told a Burkinabe fable to keep the kids' attention, and we also brought a djembe and finger piano for them to play. 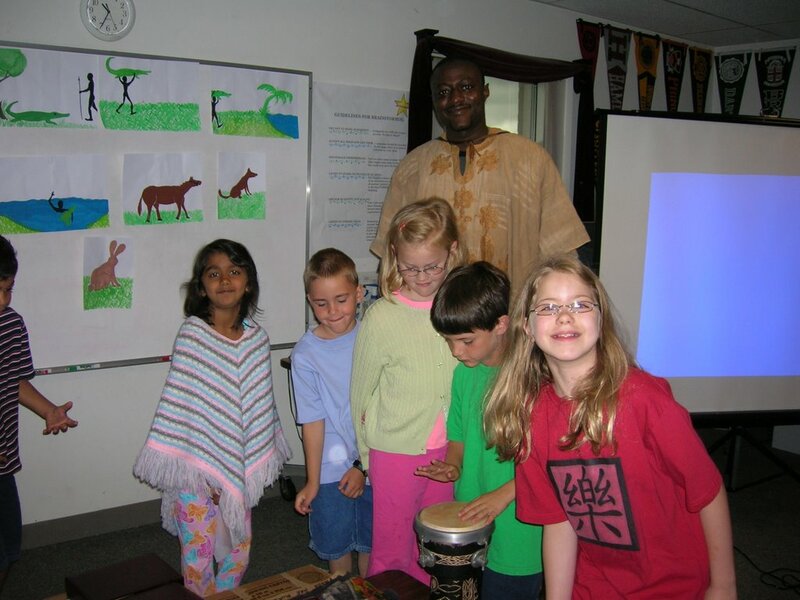 In these elementary school presentations, we wore Burkinabe dress to give them a better sense of the culture. Finally, we passed around the money used in Burkina and other artifacts. Now that he is working full time, he no longer comes on trips with me. But I'm still presenting about Burkina. In this way, I'm fulfilling the Peace Corps' 3rd goal which is "Helping promote a better understanding of other peoples on the part of Americans." Of course I present a bit about my study abroad experience in Kenya, but I try to focus on Burkina since most Americans have at least heard of Kenya. 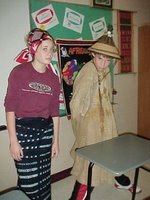 I was shocked during one school presentation in Iowa when the students told me they had just completed a report on Burkina. During these presentations, I try to impress in these students the magnitude of Africa as a continent. So many think of Africa as being a homogeneous country. They cannot fathom that Burkina has about 60 ethnic groups and therefore 60 languages. I ask them what their stereotypes are of Africa in general. Common responses are "poor," "lions," "famine," "war," "desert," "AIDS," "black people," "safari." All things we are exposed to in the media. We either learn about different animals and weird tribes from the Discovery channel, or AIDS and war from the short snippets on the nightly news. I talk about my experiences living with a host family during my training, and the fact that Muslims and Christians lived side by side in my host village. I do talk about the poverty but try to put it into perspective. I explain to them, just as Americans have stereotypes about Africans, the Burkinabes I knew had stereotypes of Americans. How many people did I talk to in Burkina that could not believe there are people living on the streets in the US?! Hollywood films don't tend to cover such social issues. So, I may be kidding myself that I am in some way making a difference. But if one kid leaves my presentation with a desire to learn or experience a new culture (be it through a high school exchange, college study abroad, or the Peace Corps), then I am jazzed about my work. And if they will one day recall that the capital of Burkina is Ouagadougou, then I'll just smile. Students in traditional Mossi attire. One student tried on a turban worn by Tuaregs, or blue men of the desert.